Run scripts automatically. Default = un-ticked. If ticked, AppleScripts attached to notes are run as soon as the notes text window is open (or takes focus if in Explorer view). 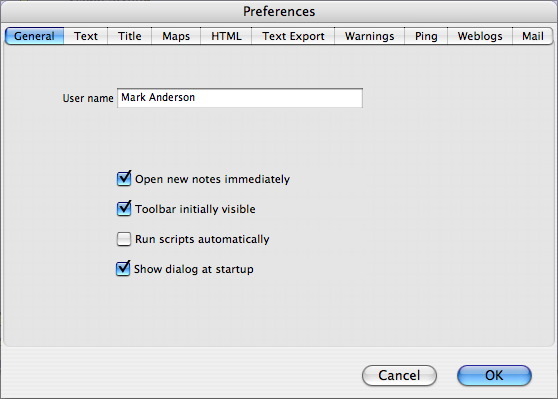 Any AppleScripts added to notes should be saved uncompiled, i.e. as 'Text'.